← Food or movement – What’s the answer? If you’ve been following my http://www.facebook.com/lornpearsontrains page, you’ll know that, last Monday, my big brother Neil ran the Boston Marathon in a very impressive 2:30:03. (Neil is the one on the left below). Neil is & years older than me and lives and trains in Sydney. 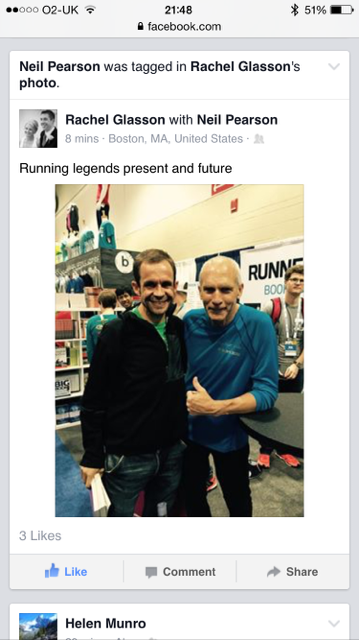 He runs around 3,000 miles a year, and even once won a marathon! The Big Sur Marathon on Sunday. 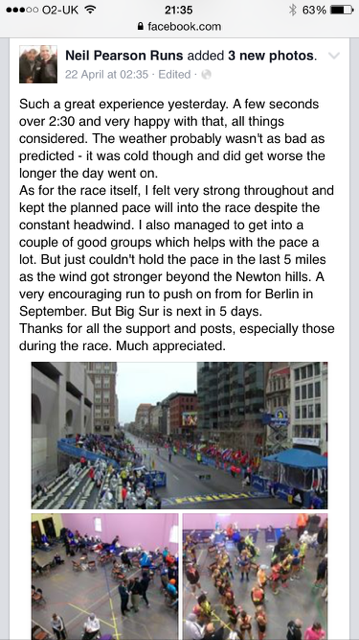 Last week’s effort alone was very impressive, 2:30 in challenging conditions at Boston. I couldn’t even contemplate running another marathon 6 days after running a fast marathon. But he’s done it. 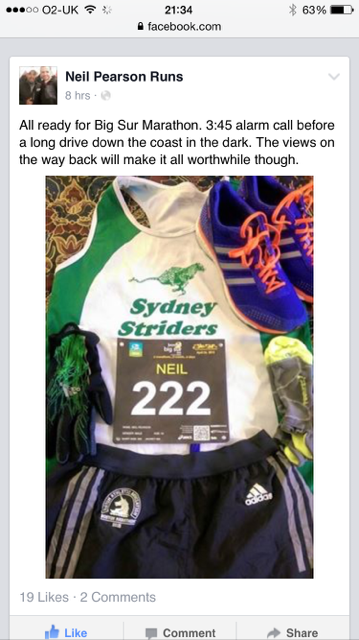 Here’s his lucky race gear. 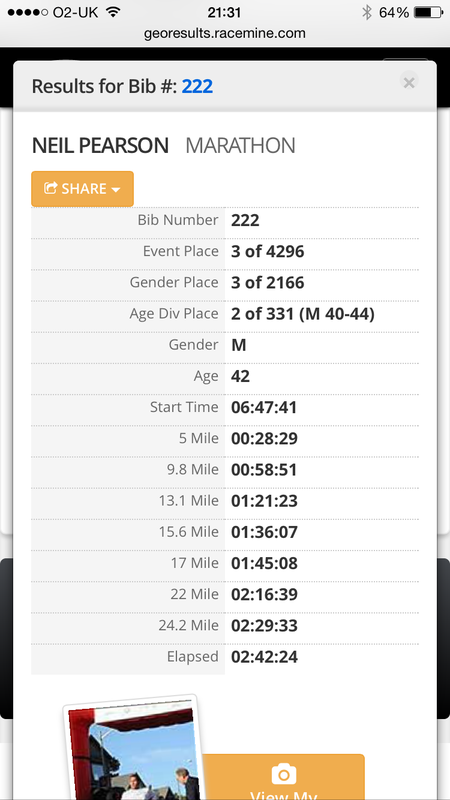 I wasn’t sure what time he was racing, with the time difference, but he’s finished! 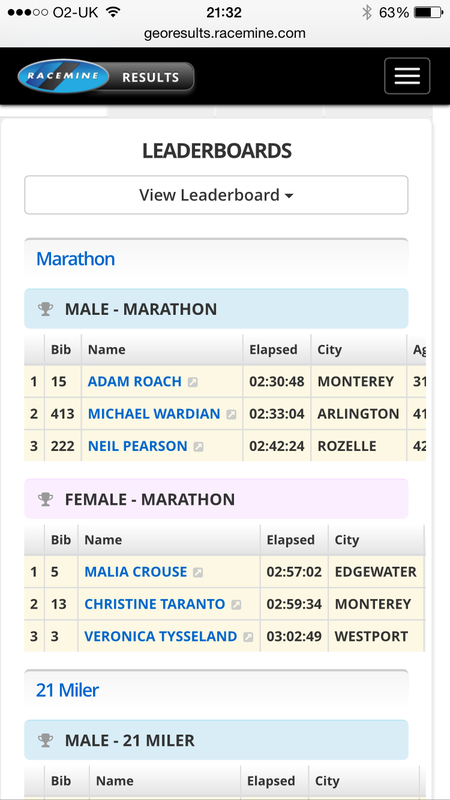 He finished the Big Sur marathon, 6 days after he smashed his Boston PR by 4 minutes, to finish in 3rd place, in 2:42! All this marathon chat is getting me excited.